Provincetown, Massachusetts is a little piece of heaven tucked away at the very end of historic Cape Cod. It is blessed with incredible gifts of nature including National Parkland beaches and dunes, dramatic skylines, and a beautiful bay. This little New England Town has the perfect mixture of traditional, historic fixtures and modern touches that maintain its historic charm while still appealing to those seeking more current attractions. You’ll find The Revere Guest House bed & breakfast inn at the center of all that Provincetown, Massachusetts has to offer you. Right down the way is Commercial Street, where numerous shops, cafes, galleries, and restaurants await for you to stroll through and explore. Over 30 miles of beachfront are within minutes by bike or foot. 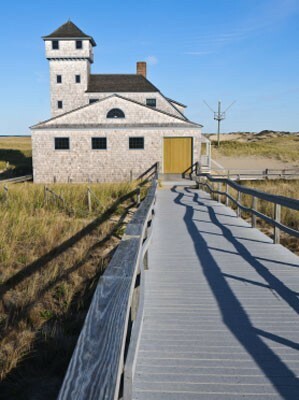 And of course, at night the clubs, shows, and infamous Provincetown nightlife are truly just around the corner. 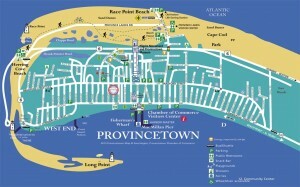 Provincetown, Massachusetts is a wonderful Cape Cod place to visit during the high season in the summer. It is also an ideal destination in the spring or fall when many visitors come to attend the numerous local events that draw crowds throughout much of the year. Whichever season you choose, the Revere House will help make your stay one to remember! Provincetown is where the Pilgrims first touched ground in 1620 and wrote America’s first constitution, the “Mayflower Compact.” Early records show that the Algonquians had two names for the Provincetown area: meeshaum, probably related to mushauwomuk – where there is “going-by-boat” (the Indian name for Boston); and also chequocket, probably related to the Narragansett chauquaquock ‘Englishman’. Chauquaquock in turn stems from chohquog – knife; chequocket, then, is “the place of the knife.” The Dutch called the area Staten Hoek – place shaped like a hook. John Smith’s map of 1616 designates the area of Provincetown as Milford Haven, after the harbor in Pembrokeshire, Wales, from which Martin Pring sailed in 1603 on his voyage to Massachusetts Bay. 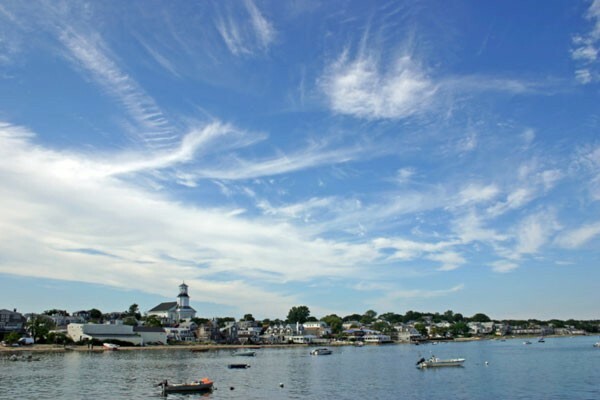 Separated from Truro and incorporated June 14, 1727, the town took its name from a provision in its charter that reserved title to all lands within it to the Province of Massachusetts. Not until 1893 did the General Court change the charter, reserving unoccupied areas (called “up back”) to the Commonwealth and granting townspeople deeds to the properties they held. In the 1800s many townsmen lived by whaling and fishing. In the twentieth century , the whaling industry gave way to a thriving arts community, who were drawn by the stunning land and seascapes of nature, as well as the increasingly intellectual community that was developing. Charles Hawthorne was one of the first notable artists to help Provincetown flourish as an arts colony. This tradition continued and led to the town being known for its open-mindedness and a place where artists and ‘beats’ of every sort could feel at home. By the 1970s, the town’s long tradition of tolerance and progressive attitude coupled with its beautiful environs and exciting town scene led to the adoption of “P-town” by the gay community. Today, Provincetown retains many elements of its past, rich heritage while remaining a haven for the arts and alternative communities. The diversity of its population lends itself to an extraordinary blend of small town charm and big city sophistication. This is a town where everyone will feel at home.